Below you can view all the homes for sale in the Mountain Gate West subdivision located in Las Vegas Nevada. Listings in Mountain Gate West are updated daily from data we receive from the Las Vegas multiple listing service. To learn more about any of these homes or to receive custom notifications when a new property is listed for sale in Mountain Gate West, give us a call at 702-930-8014. Spectacular Summerlin Home with open floor plan boasting granite counter tops, tile throughout and much more. Call today for a preview! 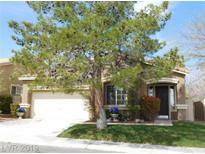 MLS#2085073. BlackRidge Luxury. Awesome Summerlin home*3 bedrooms/LOFT/3 Car Garage & POOL/SPA & WATERFALL*Solid Surface Counters, Ebony Cabinets, Stainless Appliances, Backsplash w/lighting*Fireplace*Upgraded LIGHTING throughout*Upgraded TILE*Recently painted EXTERIOR & Two-Tone inside*NEWER Pool equipment, Re-plastered & Pool tile, Cool-Decking*AMAZING Private yard w/mature landscape, FRUIT trees, Covered Patio, space to PLAY*Great location to shopping, library and PARKS! MLS#2079848. RE/MAX Excellence. 4th Bedroom is an optional Den/Bedroom MLS#2081320. Orange Realty Group LLC. Home boasts 4 bedrooms (1 downstairs), Swimming pool; Kitchen has tons of counters and cabinets; Radiant Barrier insulation; solar screens; Upstairs Master Suite is separate from other bedrooms and includes balcony, well appointed master bathroom and walk-in closet!! WELCOME HOME!! ! MLS#2077805. Coldwell Banker Premier. Easy Access To Summerlin Parkway! Former Model Home! MLS#2077928. Nevada Real Estate Corp.
Downstairs is the large living room that flows beautifully into the kitchen and family room for entertaining or a comfortable place to relax in front of the fireplace, also, 3 car garage with storage and epoxy floor treatments. MLS#2061523. Windermere Prestige Properties. This Las Vegas one-story offers a fireplace, and a two-car garage. MLS#2049637. Opendoor Brokerage LLC.